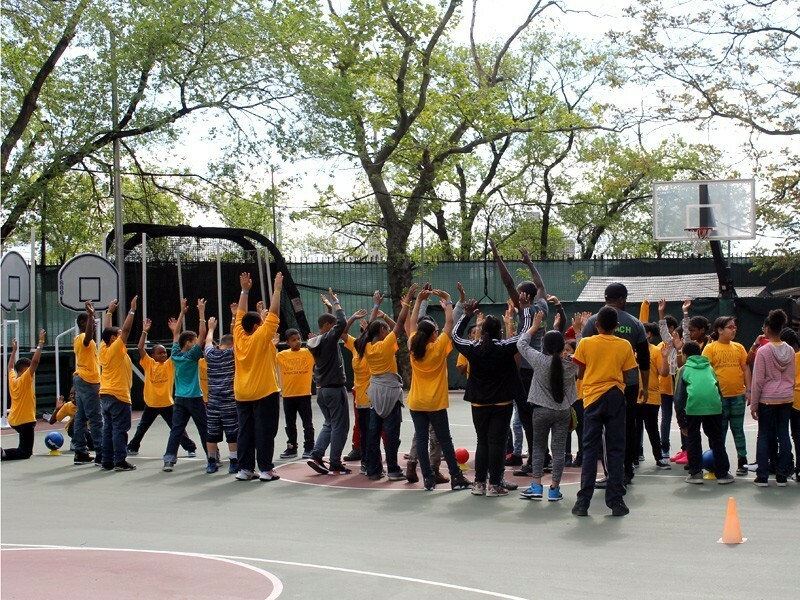 Recess was in full swing at Asphalt Green on May 12. 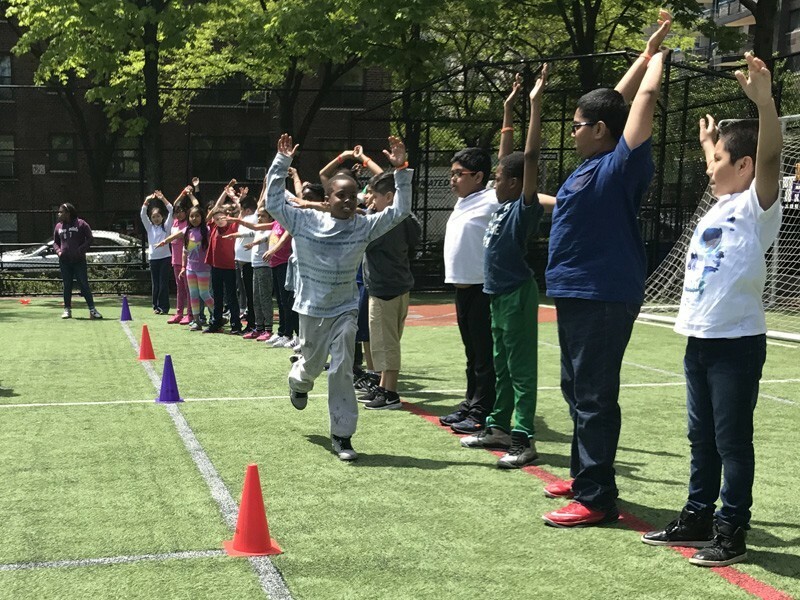 We welcomed more than 200 kids from elementary schools in Harlem and Queens for our Recess Enhancement Program’s (REP) Field Day. 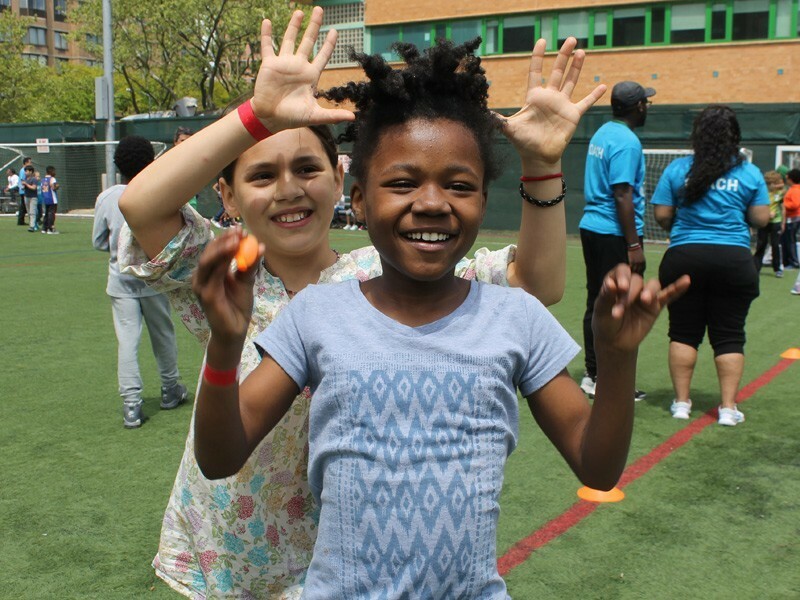 The picturesque spring morning was filled with sports, fitness, and smiling faces. 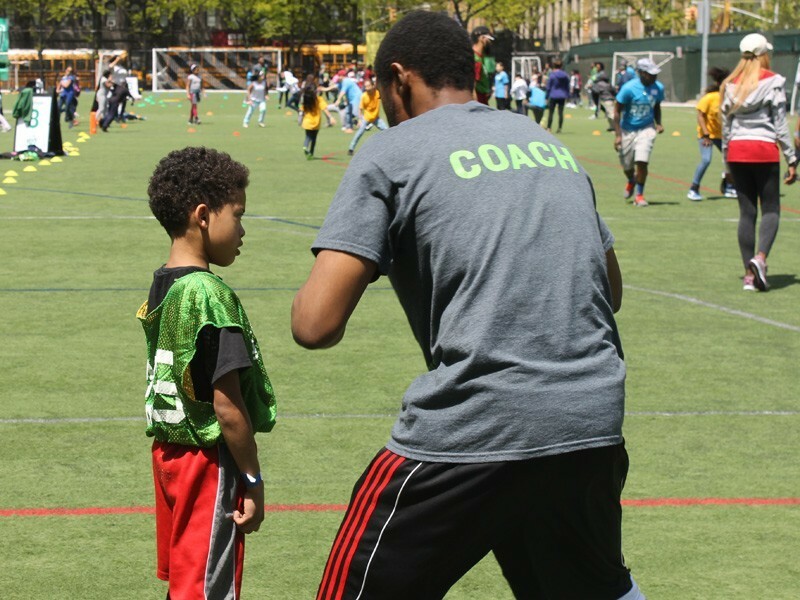 More than 50 REP coaches and volunteers from Credit Suisse led games on our Upper East Side athletic field. 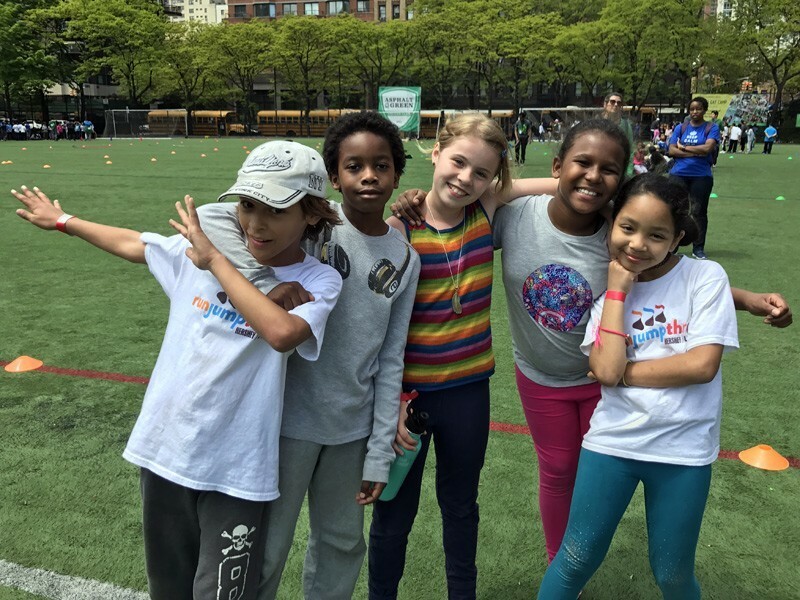 Activities included Line Soccer, Ultimate Football, Flame and Frozen, tag, a dance party, water balloon toss, and obstacle course, the fan favorite. 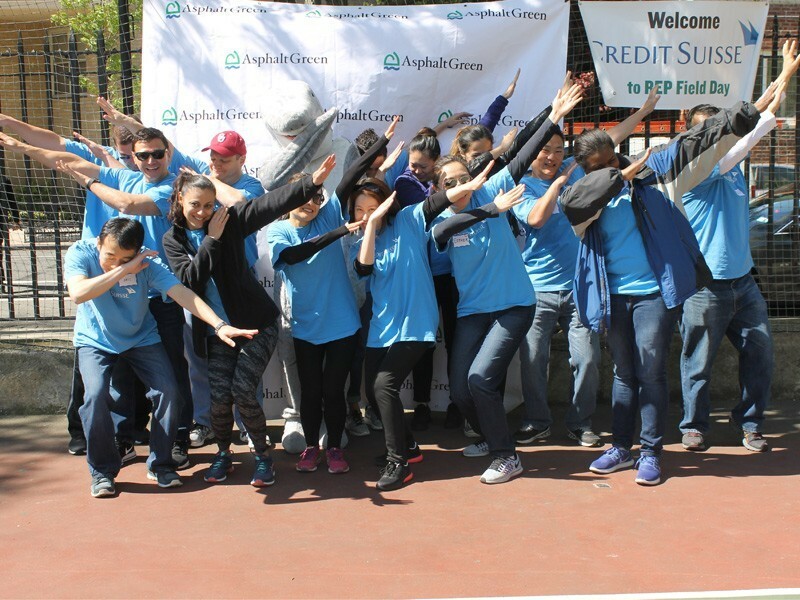 Many of the schools that participated in the event do not have the space or resources to host a field day on their campus. Between state tests and schoolwork, spring can be a stressful time for students. REP Field Day allowed kids to let loose and be kids on our outdoor field. The energy was up from start to finish. 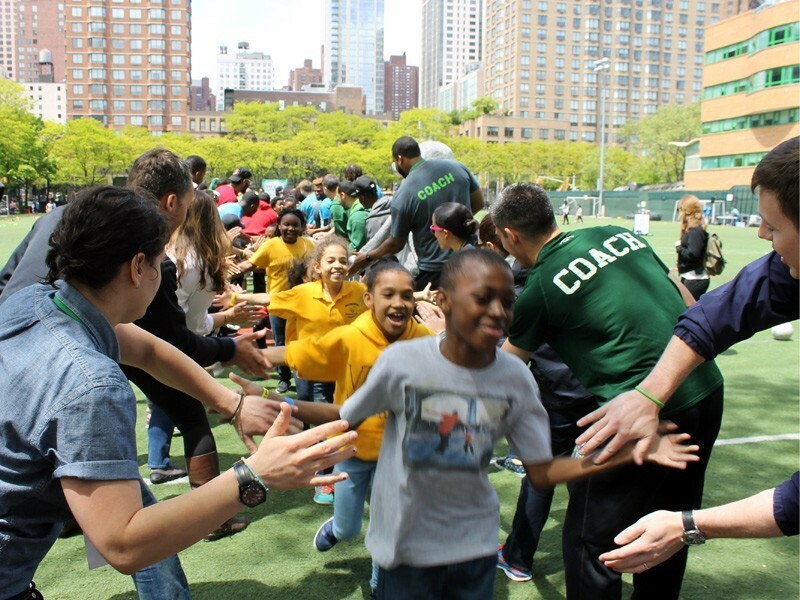 When the day came to an end, our REP coaches and volunteers formed a tunnel for the happy students to run through and receive well-deserved high fives. Thank you to everyone who helped make REP Field Day a success. 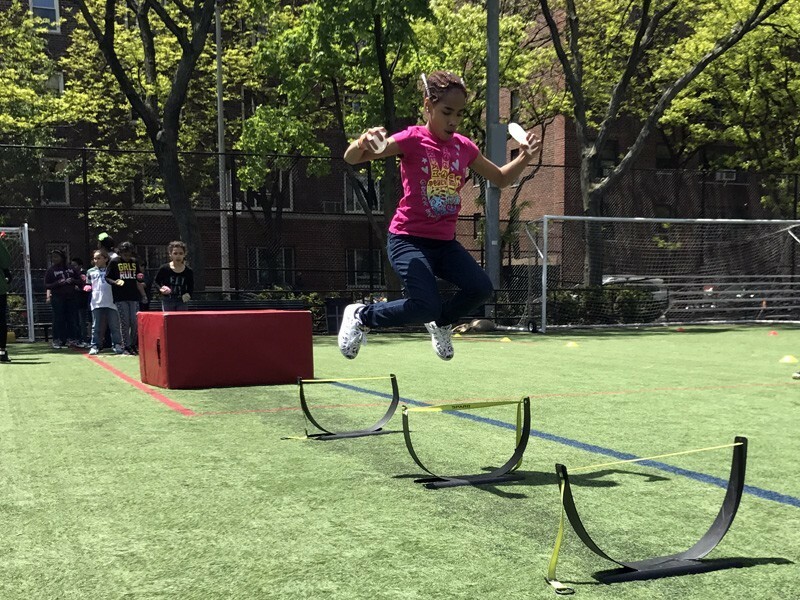 REP addresses barriers to physical activity in kids by bringing organized, active recess to 28,000 students. Scroll through the slideshow above to see the most adorable pictures from the event. 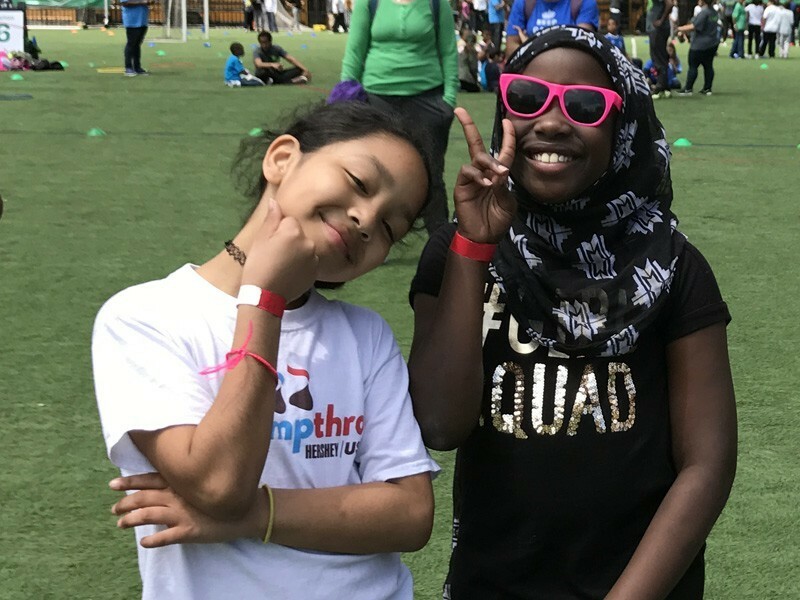 Learn more about our free community programs, and support our mission of sports and fitness for all New Yorkers by making a donation.